Arriving straight from the airport, luggage in tow and rather frazzled, the staff at Biko looked after us from the get go – seating us despite the fact we were almost an hour late, making sure we got a cocktail in our hands as soon as possible and that our orders were in before the kitchen closed. We were sadly too late to have the tasting menu but we did manage to get in four courses. 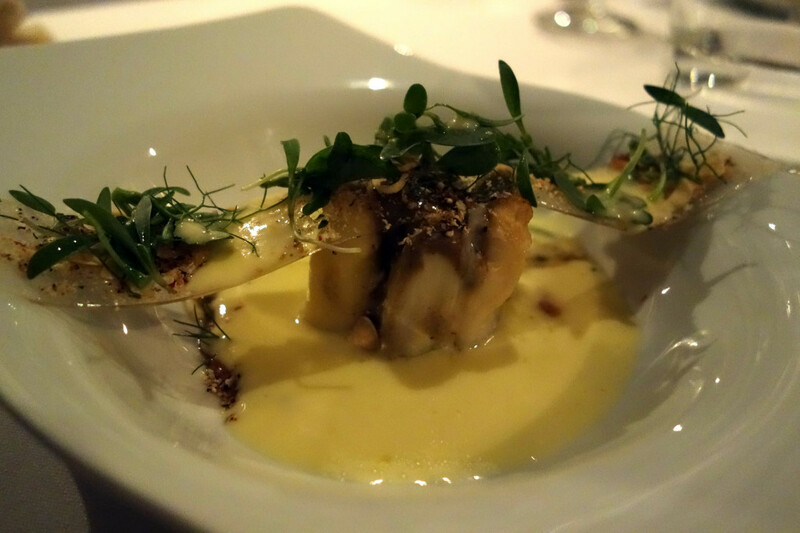 I started with the white asparagus which wasn’t particularly pap worthy but was very enjoyable. For my fish course I had tuna with mushrooms the tuna wasn’t as flavoursome as I have became used to in Japan but the sauce was delicious and the presentation of the dish (pictured above) was beautiful. 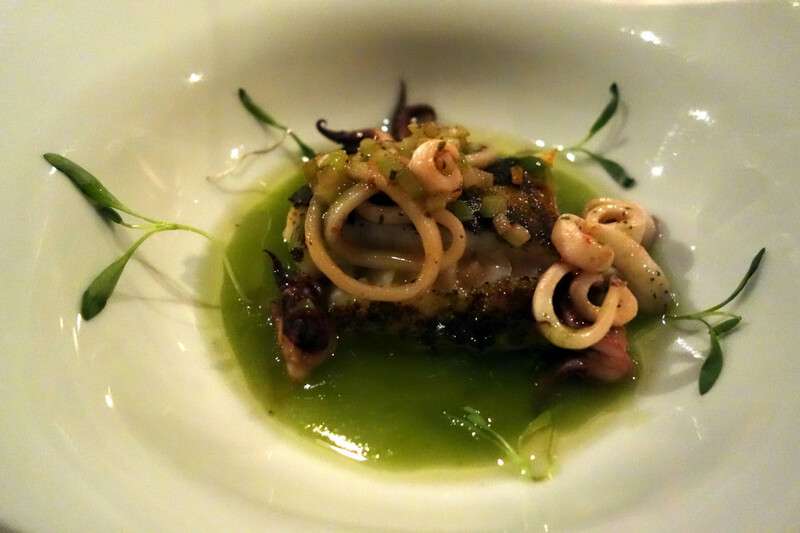 I had some pretty major food envy of the boy’s fish course though – fish with salted squid and apio verde. 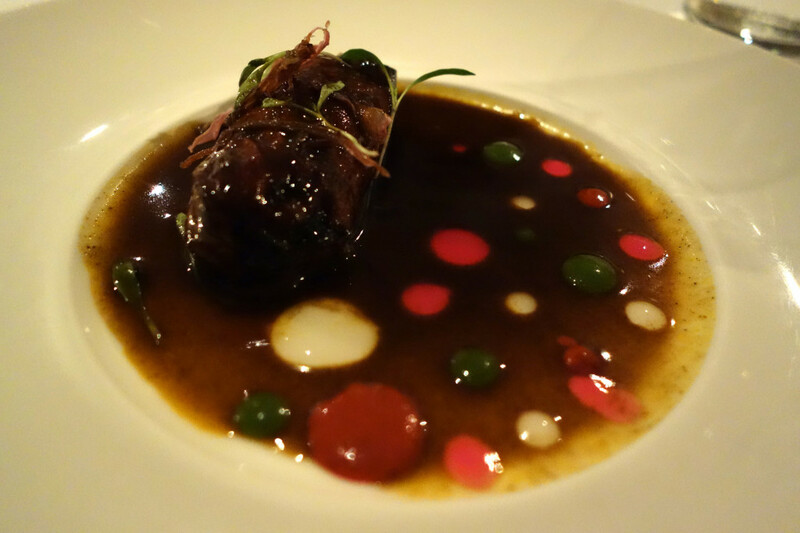 For the meat course, as a few things got lost in translation (mainly on my part), I ended up having the braised veal. And while the meat itself wasn’t for me, the sauces were delicious. The presentation, like a work of modern art, definitely made this for me. Given Mexico is famous for its chocolate, it didn’t take much persuading to opt for a dessert in which chocolate was the main ingredient…to be honest, this is often the case in countries where chocolate isn’t famous! The chocolate and coconut mousse was definitely the stand out dish for me – the chocolate was rich and slightly bitter, while the coconut added flavour but didn’t overpower. Having arrived in a total state, we left feeling well-fed, relaxed and satisfied. Why this place has fallen off the top 50 restaurants list is beyond me! 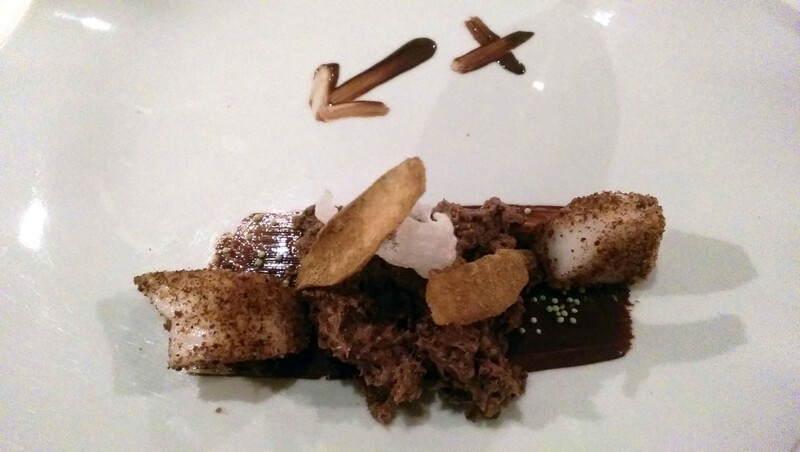 This entry was posted in eat and tagged Biko, gourmet, Mexico City, world’s 50 best restaurants. Bookmark the permalink.